This panel focuses on corporate sovereignty and seeks to unpack how corporations exercise and negotiate power across the African continent. In this panel we discuss connections and disruptions in relation to corporate power on the African continent. Drawing on de facto sovereignty as a conceptual approach to understand how (non-state) actors execute power and perform a range of functions that are traditionally associated with the state, we aim to explore corporate sovereignty as both a conceptually and empirically insightful notion. We want to explore how corporations engage in hard and soft forms of power-making, including the ability to exercise power over life, death, and conditions of existence. But rather than understanding the corporation as an all-powerful actor, we are interested in the way that corporate sovereignty is strongly situated in relation to the state and how it is struggled over and co-constructed with state actors and others, in formal and less formal ways. 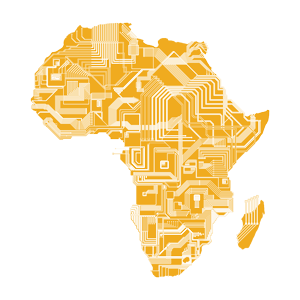 We invite papers to take up corporate sovereignty as a notion to inform debates about corporate power and to interrogate the comparative value of this concept in creating political communities at different scales and contexts across the African continent. We welcome papers that address (but are not limited to) the following topics: how corporate entities negotiate, struggle over, establish, and maintain sovereign power; how corporate power shapes the everyday lives of people; comparisons between different private sectors or geographical contexts; the role of transnational forces and dynamics in molding corporate power; the role of African states in legislating, monitoring, and permitting corporate sovereignty dynamics; comparisons between public-private entities and multinational corporations and how they exercise power. Corporate Power Tactics or the Changing of an Extractive Corporation?